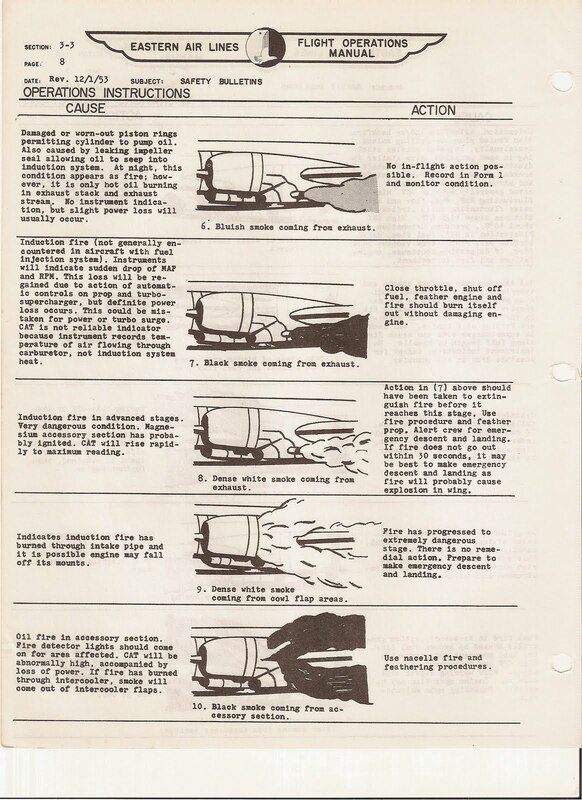 Most mechanics, techs or flight engineers and some of the old pilots who have worked on or flew on aircraft with recip engines would be very familiar with this chart. 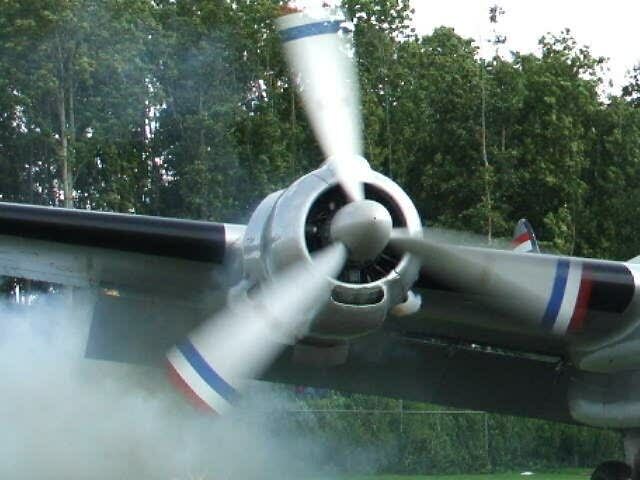 These old R4360-3350’s R 2000 to name a few could put out a lot of smoke and sometimes fire. 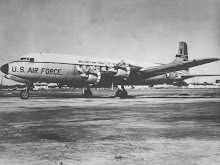 On the C-124, C-118, C-54 or C7A Caribou we learned what to look for on start up or while in the air. 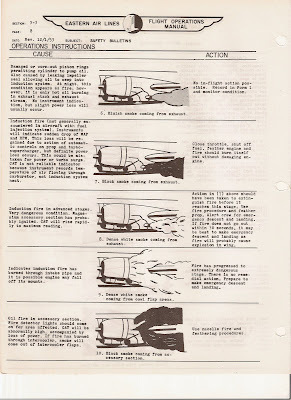 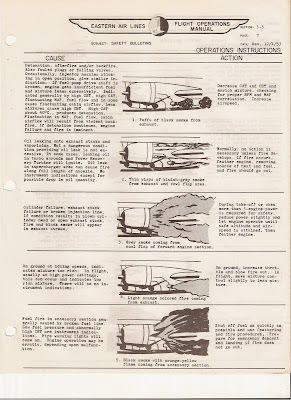 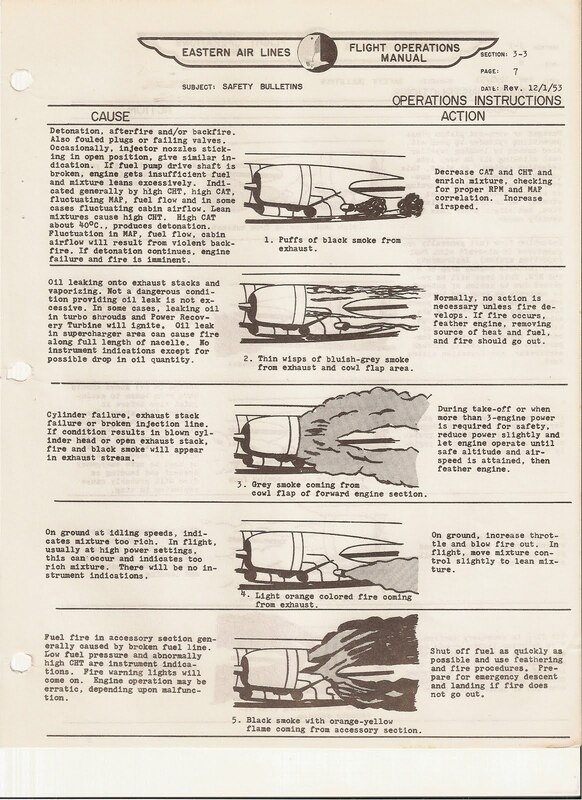 Here is a great guide, put out by Eastern Airlines in 1953, on understanding the cause and actions for various engine smoking or fires.